Are you in need of reliable car key replacement Dallas-Fort Worth, TX service? For over a decade, Dallas FW Locksmith has provided professional, honest, and dependable service to Dallas and Fort Worth, TX and surrounding areas. As a locally owned, family-operated company, we know how important it is for you to have someone you can trust. Our 24x7 locksmith service, highly trained and expert technicians, and competitive, upfront pricing set us apart from the competition. But that’s not all we have to offer. Our complete list of services is designed with you in mind. Our number one goal is to provide complete customer satisfaction. Our fast and friendly staff is there to provide you with expert customer service. We service all makes and models of both foreign or domestic vehicles, and we are licensed, bonded, and insured. We offer competitive, up front pricing and all of our expert technicians’ work is fully guaranteed. Highly trained auto locksmiths. Because you don’t deserve anything less! All of our technicians have over 5 years of experience in the locksmith field. Selected for their diverse experience, they know the keying system for any car or truck, foreign or domestic. Not sure if we can replace your key? Give us a call to see. Our technicians have experience with a variety of key types including basic keys, transponder key programming, laser cut keys, chipped keys, switchblade keys, and smart keys. 24x7 locksmith service! There when you need us most! Missing or broken car keys and lockouts can happen at any time of day or night. The last thing you need to worry about is waiting for your local shop to open. Our licensed, bonded, and insured locksmiths are available 24 hours a day, 7 days a week. Renowned for our fast response, our technicians have a 30 min response time. Not only will we respond quickly, we will bring the “shop” to you. Our high tech tools and equipment make our technicians “mobile locksmiths” with fully equipped vans. This means that we can make a new key for you on-site, during our response. No need to wait for a key to be made at another location. Where else can you get this kind of reliable car key replacement Dallas-Fort Worth service? Dallas FW Locksmith -a name you can trust! When you are in need of car key replacement Dallas Fort-Worth service, it makes sense to choose a name you can trust. Our family has worked hard to provide our local community with professional, honest, and dependable service for the past decade. We place a high value on our customers’ experience and provide an array of unique services that you won’t find anywhere else. Where else will you find a 24/7, on call, mobile locksmith service that offers upfront, competitive, and fair pricing? We are the name locals trust for car key replacement Dallas-Fort Worth. Our licensed, insured, and bonded technicians are highly skilled to handle all of your car key replacement needs. 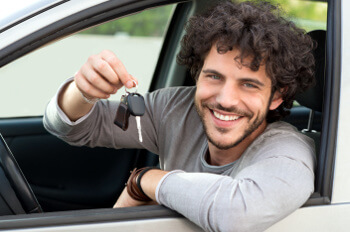 With 5+ years of diverse experience in locksmith services, you can be sure that our technicians are prepared to help you no matter what make or model vehicle you drive. We back up this claim with our full satisfaction guarantee. We take pride in providing you with the best auto locksmith service in Dallas-Fort Worth, TX. We look forward to working with you on all of your car key replacement needs. Car Key Replacement http://dallasfwlocksmith.com/car-key-replacement/ 3.5/5 based upon 39 reviews.